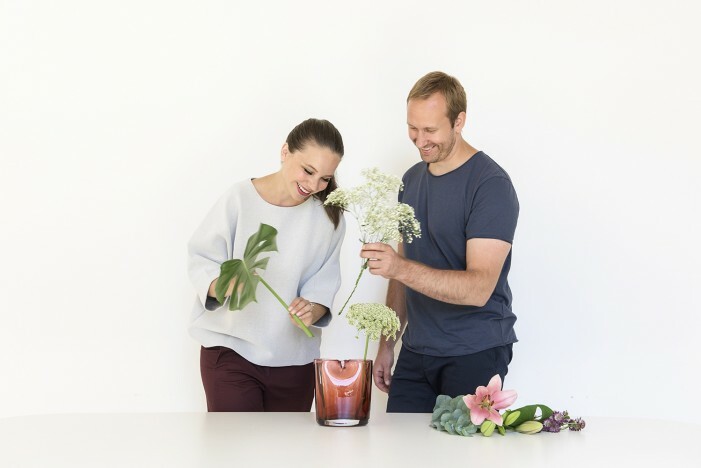 The Oui vase is a collaboration between Torbjørn Anderssen and Kristine Five Melvær on the occasion of their wedding. 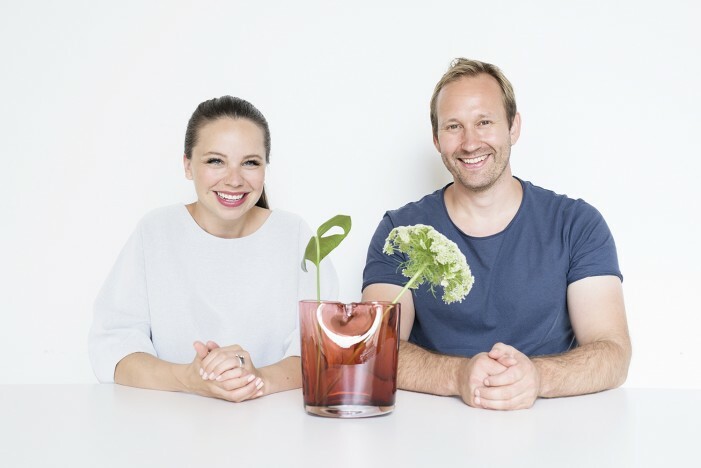 While they normally work in their individual firms Kristine Five Melvær Design and Anderssen & Voll, they thought it would be great to make an object that would symbolize their wedding. 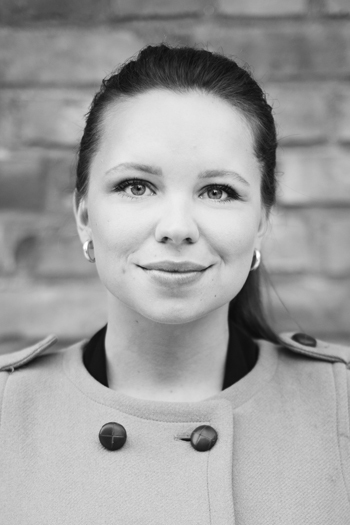 After some initial sketching they felt that the content of the project could have relevance to other couples as well. 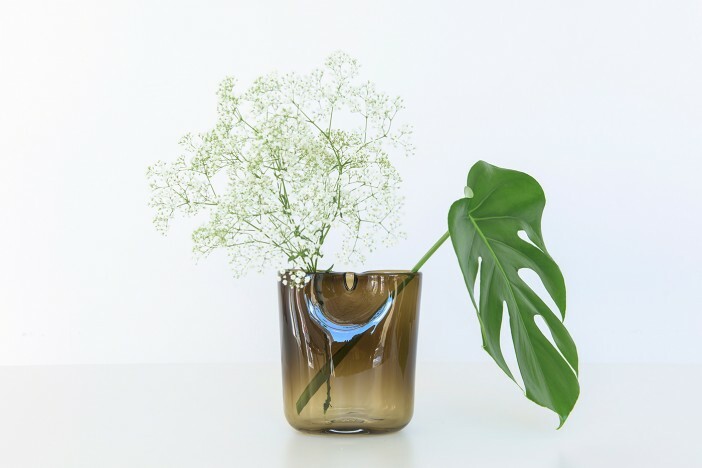 The vase is produced by the Norwegian glass manufacturer Magnor Glassverk. 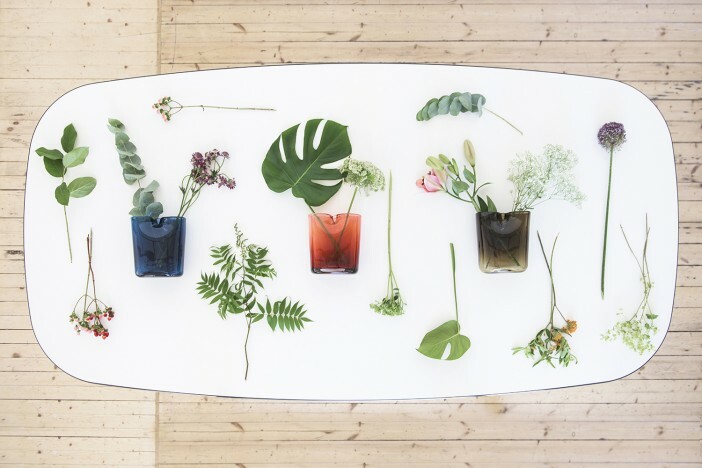 The Oui vase facilitates a personal everyday ritual for people in love. 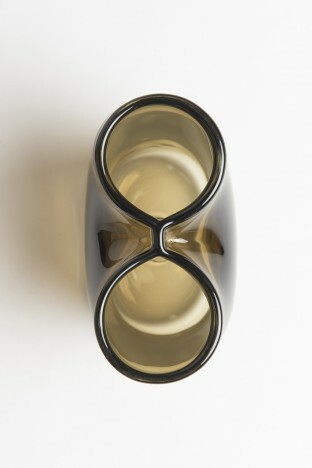 The vase is pinched together at the top into a feature that resembles a seal. 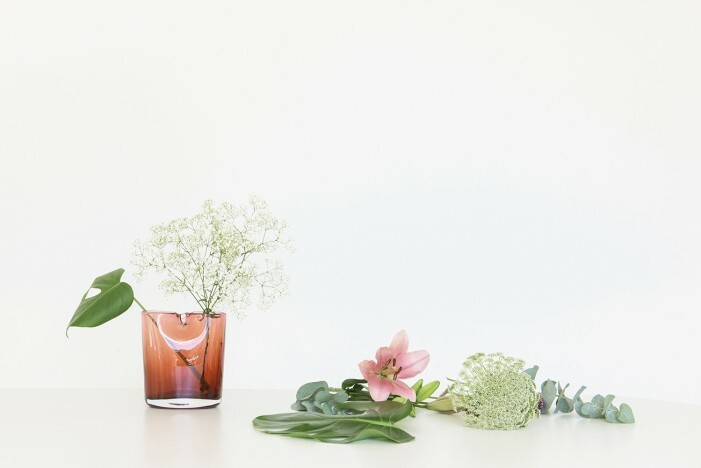 The divided top part encourages a new way to make a bouquet; the two individuals of a couple can bring their own respective contributions to the vase, and thus it becomes an expression of the two units that make up the pair. A peony stolen in a neighbour’s garden along with a fern from the forest edge picked while jogging. A sprig bridal veil along with a poppy. An artichoke combined with some pine branches. The complex shape of the Oui vases challenges the glass blowers at Magnor Glassverk to bring their very best performance. Every vase is stamped into shape, and then the top section is cut, pinched and shaped by hand to make each vase into a unique piece.